Your employees are the heart and soul of your business, so why not offer them health insurance and other benefits? If you need more than just that reason, here are a few more reasons why you should provide benefits to your employees. It is illegal not to. This one is rather obvious. If you have 50+ employees, it is actually illegal not to provide your employees with benefits. You have to offer an affordable health plan or pay a penalty. You will want to avoid IRS audits, so make sure you have health benefits in line for your employees to make sure there are no penalties. Your best employees will stay. If you offer your employees benefits, they are less likely to leave. They will be more inclined to stay with your business and work hard if they are receiving great benefits from you. It can boost morale. If your employees are receiving benefits, like health insurance, it can help to boost morale within the company. Your employees will be less likely to dislike and/or leave their job if they are receiving health insurance through your company. They will feel more appreciated, because you care about their health and their families. Promote employee wellness. When your employees have access to health care, your business environment is better overall. There will be fewer calls for sick days and people will be less likely to come into work sick and make another employee sick. This can help increase your profitability as your employees will be at work instead of at home fighting the flu. Beat your competition in the race for the best employees. If you offer a health plan, quality employees are more likely to work for your business instead of a competitor who does not offer benefits. Health insurance is very important when an employee is making a job decision. Your employees will have loyalty to you. These benefits can have emotional properties for your employees. 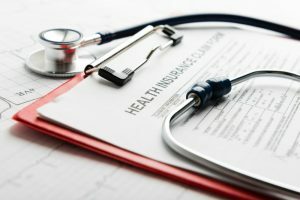 Many people cannot afford health insurance on their own, so by offering these benefits, your employees will create an emotional attachment to you and your business. Your benefits will be what helps their child get better when they get sick or helps them to pay hospital bills after an ER stay. Just think how much you are helping your employees by providing benefits. If you are ready to start providing health insurance for your employees in St. Augustine, give Thompson Baker Insurance a call today!